Ylfete Smajli, 27, is missing with Jetmira Demhasaj, 7, Jetlinda Demhasaj, 5, and Jetlona Demhasaj, 3. Police say a mother and her three young daughters are missing in the Bronx. Ylfete Smajli, 27, does not have custody of her daughters, the NYPD said. 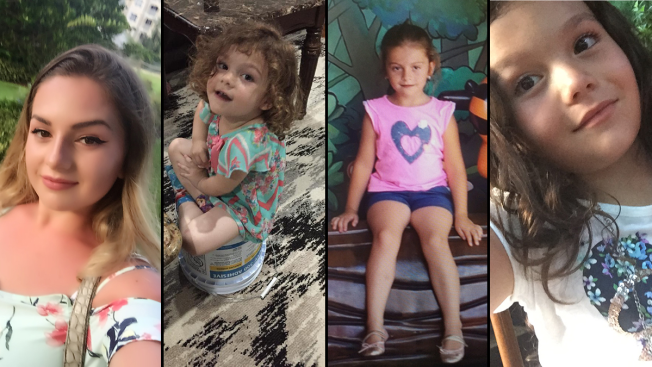 She was last seen leaving her home Friday afternoon with her 3-year-old daughter to pick up her other girls, ages 5 and 7, from school, police said. The missing girls are: Jetmira Demhasaj, 7; Jetlinda Demhasaj, 5; and Jetlona Demhasaj, 3. Smalji is described as 5 feet, 2 inches tall, about 120 pounds with blonde hair and brown eyes.